For eight games, it looked like Denis Shapovalov might reverse the result of his 2017 Rogers Cup loss to Sacha Zverev. Instead, it was the German blowing his opponent off the court to reach another Masters 1000 final. 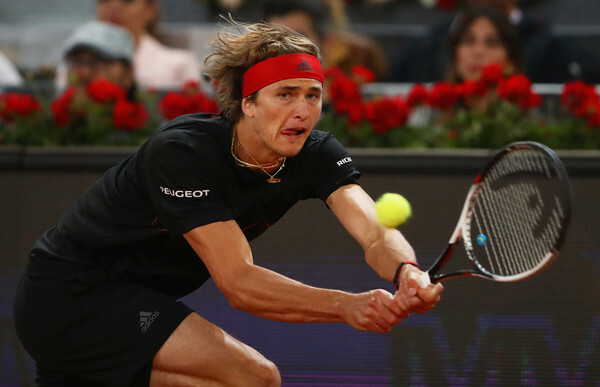 Alexander Zverev’s hot run of form has carried him into another Masters 1000 final. 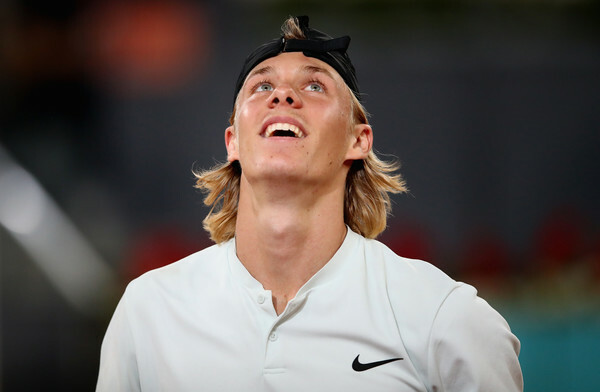 After winning on home soil in Munich last week, the German advanced to the final of the Mutua Madrid Open with a blowout semifinal win over fellow NextGen member Denis Shapovalov. It was déjà vu for the 19-year-old Canadian, who was contesting his second Masters 1000 semifinal and was bidding to become the youngest Masters 1000 finalist in over a decade. It was Zverev who ended his Cinderella run in straight sets at the Rogers Cup last summer and the Canadian fared no better in this meeting. The teen simply had no answer for Zverev’s big baseline hitting, eventually collapsing under pressure as the German advanced with a 6-4, 6-1 victory. Shapovalov had gotten off to a slow start in his quarterfinal win over Kyle Edmund but was dialled in right from the start of this match, holding his first two service games with ease. Unfortunately for the teenager, his opponent was ready too. Zverev matched Shapovalov shot-for-shot right from the start and even had the first opening of the match when the Canadian blew a 40-15 lead at 2-2. But from deuce, Shapovalov played two brilliant points to hold serve. The pair continued to clip along, matching each other blow for blow until the crucial ninth game at 4-4. Shapovalov once again let a lead slip away, losing three straight points to go down 30-40. With his first break point of the match, Zverev hit a massive return that drew an error to claim the break and move to within a game of taking the set. The German seemed well on his way to taking the opening set as he raced ahead 40-love on his own serve. However, for the first time all match, his level suddenly dropped as Shapovalov began to dig in his heels. The Canadian saved all three set points, the third with a massive forehand winner up the line, to level the game at deuce. However, the teen still struggled with Zverev’s serve, failing to put his return in play at deuce. The German would not let a fourth set point slip away, crushing a forehand winner to wrap up the opening set 6-4. The crazy end to the opening set seemed to completely change the outlook of the match. Zverev was upping his game, seizing control of the rallies and blowing Shapovalov of the court. The Canadian finally seemed to be feeling the effects of his long week, as more and more errors crept into his game. Right from the start of the second set, it was all Zverev. A huge series of backhands put the German up 15-40 in the opening game on his opponent’s serve. Shapovalov, under serious pressure, netted his forehand to give the break away. Things went from bad to worse for the Canadian as Zverev kept attacking. In the third game, the German opened up a love-40 triple break point opportunity and drew another error to take a double break lead. There was simply nothing that Shapovalov could seemingly do to slow down Zverev. He struggled to get returns in play, let alone win points on the German’s serve. Serving to stay in the match at 1-5, the Canadian went down love-40 again and sent a backhand long to send Zverev into another Masters 1000 final after only 57 minutes. Zverev was completely dominant on serve in the match, winning 88 percent of his first serve points, only losing nine points on serve overall and never facing a break point in the match. He also took full advantage of his opportunities, converting all four of his break points in the match. Shapovalov did not do himself many favours by committing 21 unforced errors (to only seven winners) and only winning 46 percent of his second serve points. Zverev will look to win a third Masters 1000 title when he meets 2017 Madrid runner-up Dominic Thiem in the final.